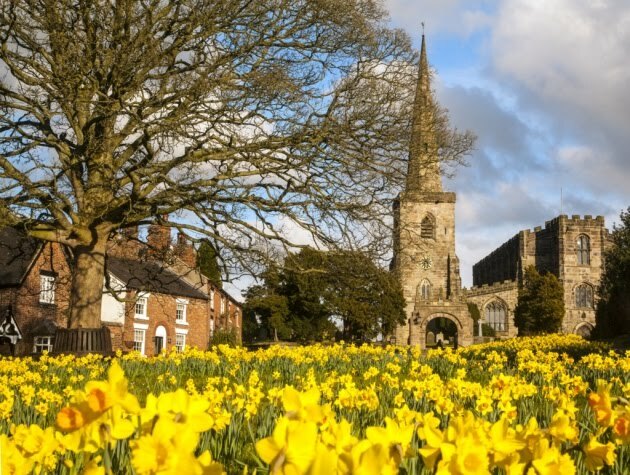 SUNLIT UPLANDS: Finally, a Shepherd for Newark; Welcome, Archbishop Hebda! Finally, a Shepherd for Newark; Welcome, Archbishop Hebda! "This is the day which the Lord hath made: let us be glad and rejoice therein." After suffering for more than a decade under one of America's worst bishops, the Archdiocese of Newark has reason for hope with the installation today of Coadjutor Archbishop Bernard Hebda. He will share leadership of the Archdiocese with John J. Myers, until the latter's retirement in no more than three years. The pleas of many have been heard by Pope Francis with this appointment. And it is the most important appointment yet made in the United States by this Holy Father. Finally, an aloof, cold, arrogant and unapproachable monarch will be replaced by a true shepherd, an alter-Christus, who radiates Christ's love in carrying out the Church's salvific mission. I came to recognize how utterly unsuited for pastoral leadership Archbishop Myers is shortly after he arrived in Newark. 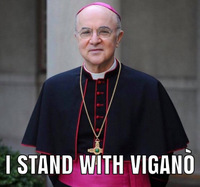 In his knee-jerk defense of priests, against the legitimate complaints of laymen, he attempted to suppress the Archdiocese's rich diversity of ethnic parishes - particularly Polish parishes, which happen to be among the most vibrant, faithful and orthodox parishes to be found anywhere. Perhaps because he came from the much more homogeneous Peoria, or more likely because he believes no layman should question any decision by clergy, Myers would not meet with the faithful or consider the viewpoints that were expressed in many letters, prayer vigils, demonstrations and boycotts of Archdiocesan charities. I wrote the op-ed below at the height of Myers' anti-Polish pogrom. Myers has closed approximately 75 parochial schools and many churches, but his arrogant indifference to legitimate grievances became his undoing when the general public, the media and state political leaders became aware of his scandalous coddling of priests guilty of the sexual molestation of children. Myers should be in prison, but we are grateful that Pope Francis has replaced him with a man who appears to be his polar opposite. Ironically, after all of Myers' contempt for the faithful Polish parishes of the Archdiocese, he will be replaced by a Polish-speaking, Polish-American. We wish Archbishop Bernard Hebda God's grace, peace and joy. May he be strengthened for the enormous task ahead of him in rebuilding the Lord's Church in Newark. Plans are well underway by the Archdiocese of Newark to close or convey to another rite or ethnic group one of Polonia’s most important and magnificent churches, St. Casimir’s Church, the Polish “Basilica of the Ironbound,” and a National Historic Site. This jewel-like church reflects in every tile, fresco and stained glass window, the heroic story of a people who have been at the vortex of the conflict between good and evil because as a nation and a people their very identity is found in Christ Himself and His Blessed Mother. The walls of St. Casimir’s Church remind all that enter of the price to be paid by those who unite themselves with Christ’s suffering and follow Him closely. Those walls tell the story of the Polish people and the terror, torture, execution and death of holy nuns, priests, noble soldiers and the humble faithful. We sense also, in the splendor of that holy temple, that where the cross is, there also is the resurrection. When it is dark enough, one can see stars! Once again the Archdiocese of Newark has declared war on its own people. The battle to save St. Casimir’s, and all the parishes targeted for destruction, is a spiritual conflict, but this spiritual battle is one the Polish people are particularly graced to win. The life of St. Casimir, Patron of both Poland and this Newark church, shines through the centuries as a rebuke to those who would destroy it. An earthly king’s son, born to wealth and power, St. Casimir would kneel through the night, in snow and rain, before the locked doors of churches, uniting himself to Christ within. He rejected the offer of foreign thrones; he wore the plainest of clothes and hair shirts; saw riches as temptations that warred against his soul; he slept on the bare floor; was known for charitable works and for fiercely defending the right despite ridicule and humiliation. He was a Prince who defied his father out of love for an even greater King. After his death at the age of 23, whole volumes were written about his powerful and miraculous intercession, and his body was found incorrupt 120 years after his death. The consultants from Seattle who assist Archbishop Myers in managing the collapse of Catholic life in the Archdiocese of Newark have asked if St. Casimir’s can support itself. The question Polonia should ask is whether or not the Archbishop of Newark can support himself. Certainly, with a vast network of closed schools and churches to rent, redevelop and sell, investment properties, and a massive stock portfolio, the Archbishop of Newark should not need the contributions of poor and working people to support his luxurious lifestyle. 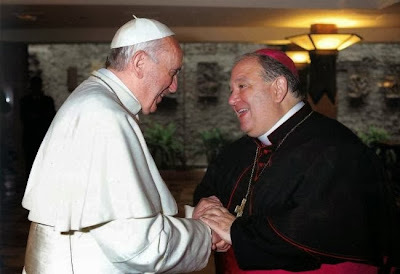 An ambitious prelate with a taste for the high life will not endure in a spiritual battle against the determined efforts of faithful Poles fighting in solidarity for their faith and culture with support from the hierarchy in Poland and Rome. Surely they will have the intercession of the holy and powerful Saint Casimir. The saint who prayed outside the locked doors of churches is a particularly apt patron not only for Polish-Americans, but also for all the faithful in the Newark Archdiocese. And when the battle is long ended and the Church in America is cleansed of the current scandals and restored to holiness, perhaps a Polish artisan will add a new fresco to the walls of Saint Casimir’s commemorating yet another chapter in the strife of truth with falsehood, the battle to save that holy place.